I liked Brookdale Statesman Club. It was new looking and had large apartments. We popped in and liked the activities that they had. I liked the meals for that day and the person that talked to me. It was clean, big, airy, and friendly. They had been to Hobby Lobby and were having a live concert that night. I liked everything that I saw. The best way to get to know a community is by scheduling a tour. See the facilities, meet the staff and residents, and get a feel first hand what it's like to live at Embark at Statesman Club Independent Living. 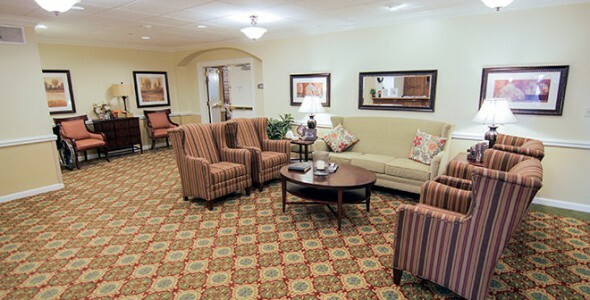 Located in vibrant Oklahoma City, Embark at Statesman Club offers residents countless opportunities for fun and relaxation. Tranquil Lake Hefner is close by, as are plenty of places for shopping, dining and entertainment. Plus, our community features beautiful spaces, generous amenities, 24/7 security and dedicated staff that help you enjoy senior living in Oklahoma City, worry-free.